At Amber Langis Ltd, we offer a comprehensive range of products and services to keep traffic – and people – moving safely. Whether you need a simple two way traffic light set, a length of secure Heras fencing or a full site survey and design scheme, Amber Langis Ltd are the experts. 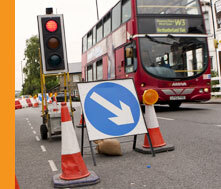 We’ve been the trusted choice in traffic management for over 25 years and have the experience and accreditation to help, whatever your requirements. If your works are on high-speed dual carriageways or motorways, our parent company H W Martin are a nationally recognized market leader. To find out more about our products and services, simply click on the items below or contact us to speak to an advisor. Choose from a range of two-way traffic light sets from Amber Langis Ltd. All applications covered with a choice of diesel, battery or mains power sources. Stop/Go signage also available. 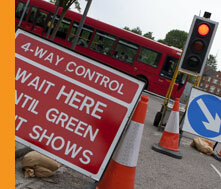 Hire diesel, mains or battery powered three-way traffic light sets. Our three-way traffic signaling sets include related road signage and trailers. Four-way sets available as mains, battery or diesel powered models. 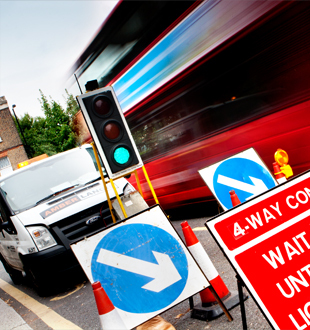 Hire equipment to manage four-phase traffic control with ease. 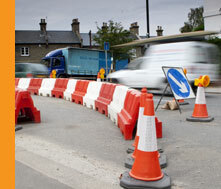 Keep people and vehicles safe with our range of barriers and fencing. Choose from Varioguard, Heras fencing and MASS systems. 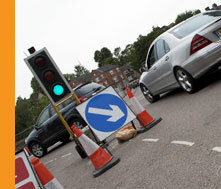 Trust Amber Langis Ltd to survey and design your traffic management scheme. 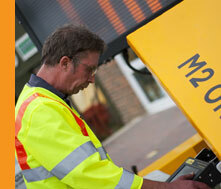 Our professional services are trusted by Local Authorities across the South.